Gertrude Stein wrote; "a rose, is a rose, is a rose" and people applauded her poetic skill. She established that a rose is a rose, just as your name in print is definitely your name in print. Of course, the "Brass Ring" of promoting your book is securing a print review in a prestigious magazine. However, revenue space has pushed many book reviews out of newspapers and magazines. The competition for the remaining space is fierce. Be your creative self, stop the chase for a print review and find other ways to get your book mentioned in print. Write articles, create a blog, and build friendships with editors in your field. The key is making sure you have a byline that mentions you, your book, and your expertise. Getting your name in print any way you can is priceless. These articles and mentions can be recycled over and over again. • Write articles that tie your book to a specific magazine. Marcy Jones Esq. is the author of Graceful Divorce Solutions. She regularly studies PEOPLE magazine for tie-ins to her book. She wrote an article about Sandra Bullock's divorce, included her byline, and has been republished everywhere. • Editors love lists. What in your book lends itself to being on a list? Lists can be the top 10 reasons people divorce, or 10 ways to keep your family together through a divorce. • When you call or email a producer or journalist, ask them a question that begins with "Do you know... ?" Quote them this year's statistics on how many people are divorcing. Has the divorce rate gone up or down? Give them these details, and that's news. Anytime you can give them news you become someone they can go to for future quotes. Follow up after they quote you and say thank you! • Ask people in the market you're serving what they read or watch? Industry trade journals are often near the top of the list. Trade journals are great because they're usually willing to introduce new experts to their readers. You can even offer to write a regular column for them. • Study your local and regional papers. Do they have a Dear Abby column but don't have a column on staying healthy through divorce? Pitch the newspaper with the idea that they need to get up-to-date with current trends. Create a niche you and your expertise fit in. You might have to show some sample columns - even if you are not directly paid. Columns can lead to consulting and speaking work. Once you have secured your article or review in print, keep recycling it. 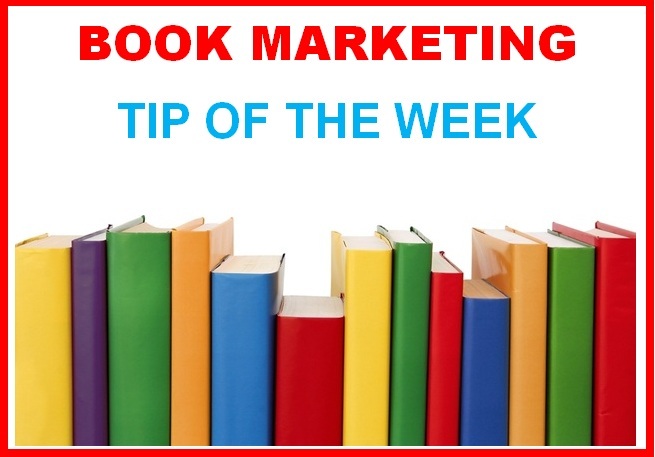 Recycling is one of the biggest tools for promotion of your book. Once your name is in print, the article, or mention can be effectively used over and over in different online and print venues. One way to recycle is to use the mention as a way to get your foot in the door with other editors. When we secure reviews in "Publishers Weekly" or the "Utne Reader" we always mention this fact in our pitch. You can recycle the article or mention on your website, Facebook page, Twitter page, LinkedIn page, etc., etc. Your blog can be used in the same way. Contact other bloggers to exchange posts, or repost your blog in every social media connection you have developed. Recycling an article not only saves time, it links your name and book to other previous mentions. Your name and book in print is in print, is in print, is in print.